Hongik Kim continues his interview series. 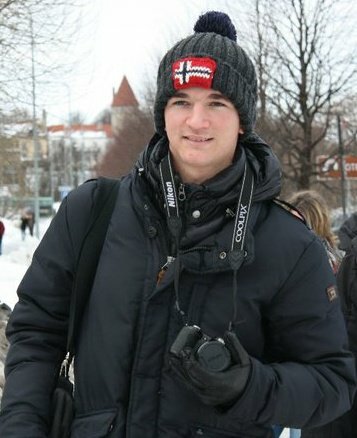 Maxime is a French exchange student in Metropolia Business School and he accepted my request for an interview about forex online trading. Maxime shares his experience below. Why did you decide to get involved in online trading? I first had a small amount of money that was invested in an investment that returned only 3% per year. So I thought I could do better than that. That’s why I first went to the forex market online. How did you start? Have you received help? If so, from whom? I started by opening an account in an online broker, IG markets. My father helped me because he is working in this field. That was very helpful for the beginning because it’s a really complicated market. Is it hard for someone who is not qualified? Should one have good knowledge of this area? You don’t have to have a diploma or a certification do this kind of trading, but if you don’t want to lose your money too quickly you have to learn a lot of things before starting. It’s a market related to the macro economy, and it’s really complicated, because the role of many institution is at stake, a private investor has to be really efficient to gain money on this market. Can we gain a lot of money from trading? It’s a really risky market, because it’s really volatile, the volumes are the biggest in all the markets in the world. So you can lose a lot of money really quickly. Does it take a long time to learn and gain money? If you really invest in it, it can use a lot of your time of course and you have to be really focused on it from the moment your money is invested, otherwise you can lose a lot of opportunities. Do you think it’s a good way for a student to make a little money? I don’t think it’s a good way for students to make money because it’s really complicated and the in the majority of cases, you lose money. However if you are aware of the risks and you are willing to take it, then why not try it. Does this experience assist you in everyday life or in your studies? In daily life I think it’s an advantage because you learn a lot of things and you are aware of all that is happening all over the world. You have to know what is happening as your trading is affected by what happens in the world. Do you advise Metropolia students to embark on this experiment? I wouldn’t advise someone to do that; it’s really risky, but why not start trading in stocks or bonds and then maybe try something harder as the forex market. Then you will be really aware of what’s happening in the market. Still, it’s a good way to learn a lot of things and in this way I would advise students to do that also. For a beginner I would advise him/her to listen to a lot of conferences or lessons about Forex trading. Nowadays all the brokers online give their clients free training on the forex market, and I think the training is very useful. In fact it’s not really an advice, I believe you have to do that if you don’t want to lose your money.